Constant knee pain can make it really hard to go about your day. You struggle with your job. Even climbing in and out of your bath is difficult. The pain is excruciating and debilitating. How long will you be able to stand the awful side effects of medication? You want to stop medicating yourself. You want to avoid surgery. You want to go back to your active lifestyle. Is there a safe, non-invasive, drug-free, low-cost and highly effective way to relieve your knee pain and heal your knee? Infrared heat (cold laser) therapy for knee pain. 1 Is Laser Therapy Effective for Knee Pain? 4 How Do I Save Money and Treat Myself at Home? 6 Is Cold Laser Safe for Knee Pain? Is Laser Therapy Effective for Knee Pain? Cold laser therapy is non-invasive, pain-free, safe, easy to use and highly effective. Most people respond to it, and it’s amazing how fast laser can relieve pain. For most people, the effects are almost immediate. 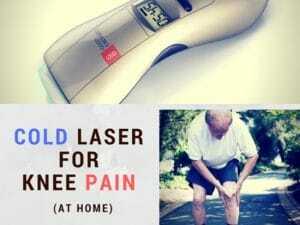 What’s Cold Laser for knee pain? Cold laser is simply a light frequency. Low-level laser is also known as infrared light, and this specific wavelength is scientifically proven to speed up healing and relieve pain anywhere in your body. LLLT works at a cellular level to accelerate your body’s natural healing and pain-relieving mechanisms. All our cells respond to light, through light-sensitive chemicals in the mitochondria. Once infrared light passes through your skin (it can penetrate up to 5 cm deep! ), it is absorbed in the damaged cells and transforms them back to a healthy state. Simply put, cold laser boosts microcirculation in the injured area, which brings pain relieving and healing nutrients and breaks up inflammation – faster and better. Through our research, all clinical studies involving infrared light therapy (cold laser) for knee pain have proven that it works. Osteoarthritis of the knee is the most common form of arthritis and is the most common cause of disability affecting millions of people around the world. In this human study, patients with moderate knee OA were given LLLT treatments twice a week for 4 weeks, with a placebo group. “In the group treated with active LLLT, a significant improvement was found in pain, circumference, pressure sensitivity and flexion. In the placebo group, changes in joint flexion and pain were not significant. These are only 2 examples out of many more studies, proving that cold laser for knee pain simply works. True laser diode home devices (non LED) can get pretty expensive. For example, the Terraquant laser “basic” home device costs more than $2000. There’s a much less expensive option, which is just as powerful as a full-sized, stationary, expensive soft-laser machines used only in hospitals and superior care facilities. 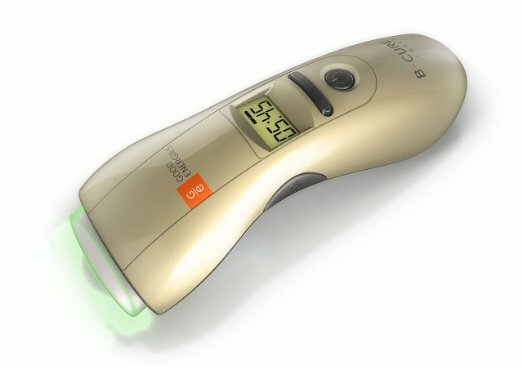 The B cure soft laser therapy. 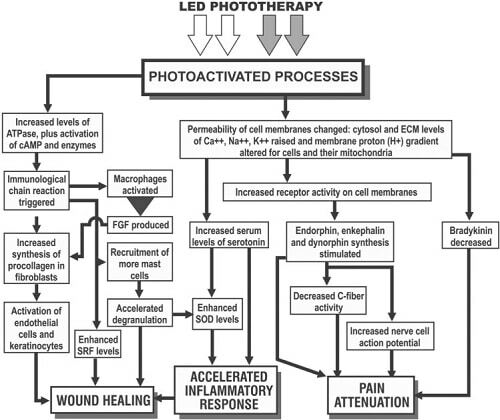 This light therapy product is a true powerful laser diode (laser peak power is 250 mW!) which costs only $645 right now on Amazon. It has the right wavelength (880 nm infrared) and the laser diode lifespan is 4000 hours. 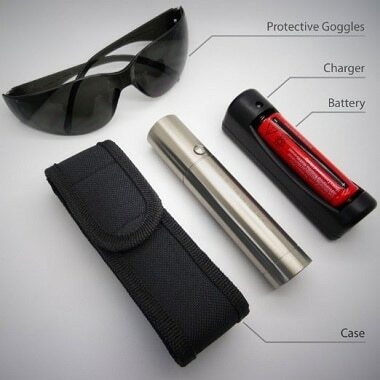 It is light, portable and rechargeable, and I highly recommend it. Hundreds of dollars can be intimidating. What can you do if you can’t afford it right now? 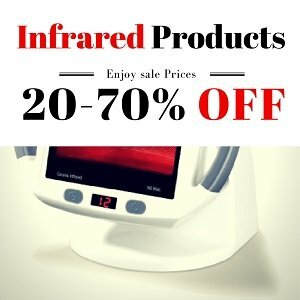 Well, recent studies have proven that infrared light therapy can be just as effective through LEDs, as it is through laser diodes. And LED infrared light therapy devices are much less expensive. You only need to make sure it’s powerful enough and emits the right wavelength. Works synergistically with chiro, acupuncture and PT treatments. How Do I Save Money and Treat Myself at Home? Finally, they get to the point. 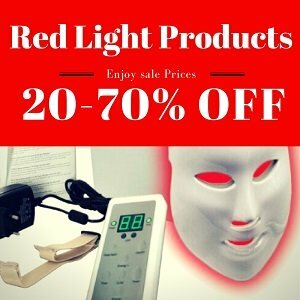 All you need to home treat your knee pain effectively is the right (and high quality) infrared light therapy home device. You simply point the laser on your knee and let it work the pain out for 5-10 minutes. Repeat for the back of your knee. Most people report noticeable pain relief after the first treatment, but results are accumulative so the more you use it the better you’ll get. Other people need a few more treatments to get results, and it’s recommended to keep treatment going at least once a day for a month. Home lasers save you time and a lot of money, and you can use them whenever you or your family (and friends) need them. Most clinical studies have reported the positive results after at least 4 weeks of treatments (at least twice a week), and many have continued to 8 weeks of LLLT treatment. Is Cold Laser Safe for Knee Pain? According to studies in the last 30 years, cold laser is proven to be safe to use and has no side effects when used for knee arthritis or any kind of pain. However, I would advise you to avoid pointing the laser to suspicious or cancerous lesions and to avoid if you are pregnant. Also, do not look directly at the light source, to keep your eyes safe. If you can’t help yourself, use these eye protection goggles. 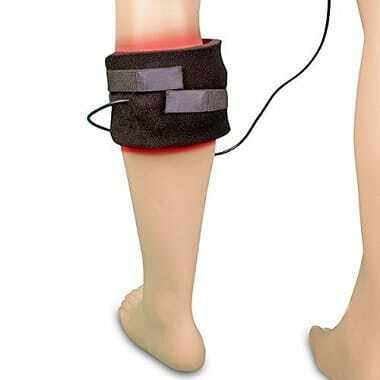 Cold laser for knee pain at home is one of the best drug-free ways to relieve and heal your knee pain – without medication, side effects, and risks. Cold laser home devices, though seemingly expensive, are proven effective and will save you a lot of time and money in the long run. As always, I’d love to read your comments and questions. Tell me your experience and your concerns and I promise to answer. Hi, my wife has rheumatoid arthritis I have just got her a infrared lamp, you say use it for 5 to 10 minutes a day, what distance should it be kept at, please. I would start with 12 inches but it’s really a matter of how it feels. If it feels too hot, distance it some more until it feels comfortable. Will the simple 250 Infared bulb help with knee pain. If so how will it compare to cold laser that this article is talking about? Infrared is the same as cold laser. You can try the infrared bulb first and if it doesn’t work you can try the other products mentioned in the post. Good luck! Have been taking the dog weekly for lazer therapy for a torn ACL . Not much improvement. I was doing infrared until it fell and broke so now I need a better one. I noticed his leg wasn’t much warmer than when I did the infrared at home. Do you think it is the same . It was 18 dollars a treatment at the vet. Infrared and low level laser is the same. But, I don’t know about the strength of the unit at your vet. You can always try getting him a small jade infrared heating pad and put it where he sleeps and turn it on when he is sitting there or sleeping. The good ones come with a timer and shut off automatically. ‘The B cure soft laser therapy. Yes I did. Thanks for bringing this to me attention, it’s a typo. I’ll fix it now.